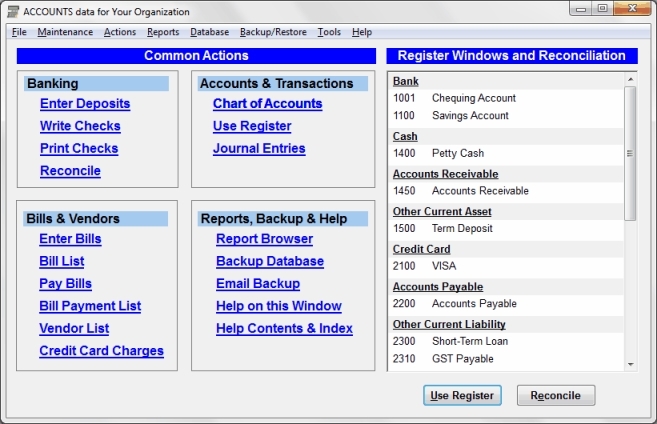 Associate accounts with lines on government forms, like the T3010 for Canada or the 990 or 990-EZ for the U.S.A. Check out ACCOUNTS demo videos and screen images. Read about how ACCOUNTS can help you and your charity, church or non-profit. See a detailed list of the program's features. Get the latest ACCOUNTS news, and sign up to help improve ACCOUNTS as an advisor or beta tester, on our blog. FREE DOWNLOAD Click to select your free 60-day evaluation copy of ACCOUNTS. © Cooperstock Software 2016 | Have a question? Email us us or call (416) 423-7722.